TraCS has been operational in a production environment for Illinois State Police since March of 2015 with rollout of Crash and Vehicle Inspection forms. Once these forms stabilized, Illinois State Police set off on an aggressive schedule to add additional patrol forms, a new investigative case management system and an intelligence component within TraCS. TraCS has been well received in the field, providing an easy-to-use standard process for the collection of data and streamlined operations. FUTURE DEPLOYMENT PLANS: Illinois State Police is currently investigating alternatives for TraCS deployment to other law enforcement agencies in Illinois. ADDITIONAL FORM DEVELOPMENT PLANS: Implementation of Intelligence forms; Interface with courts to transmit citation data; Overweight Citation; Statistical summary, strategic planning and operational reporting; Migration of legacy system data; Integration with Evidence Management System; Expanded vehicle and driver import capabilities. 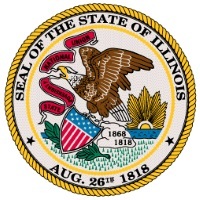 Illinois has kicked off a project to implement MACH for the AVL, messaging, and CAD functionality.